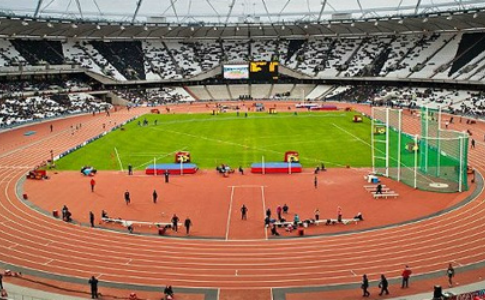 The anniversary of the London‭ ‬2012‭ ‬opening ceremony will see not one, not two, but three days of athletics action take place in the Olympic Stadium. It has been confirmed that the London Anniversary Games‭ ‬will span July 26-28,‭ ‬with IAAF Diamond League events on the Friday and Saturday before a third day of disability athletics on the Sunday dedicated to showcasing the Paralympians of ‬2012. With the decision “‬an important part of the London‭ ‬2012‭ ‬legacy” IAAF vice-president Seb Coe said: “London‭ ‬2012‭ ‬was an amazing year for British sport and what a way to celebrate its success by welcoming the world back to London once more to watch the biggest names in athletics. Heptathlon gold medallist Jessica Ennis is just one athlete who has already pledged support for the event. Speaking when the announcement was made to move the event to the Olympic Stadium, Ennis, who hasn’t attended a London Diamond League meet before, said: “Hopefully I will be there and using the competition as part of my preparation for the World Championships. 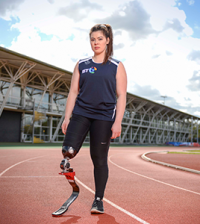 Commenting on the inclusion of the third day of athletics action, double Paralympic T34‭ ‬100m and‭ ‬200m champion‭ ‬Hannah Cockroft said: ‭“‬It’s fantastic to hear that there will be a para event at the London Anniversary Games,‭ ‬as it’s bringing the attention back to where it all began and gives us a chance to re-live the glory of last year. With demand for tickets expected to be huge, British Athletics chief executive‭ ‬Niels de Vos has encouraged fans to register their interest early. 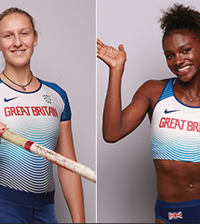 “We are thrilled to have been asked by Mayor of London Boris Johnson and his team at LLDC to stage this event‭ ‬-‭ ‬what a fantastic opportunity for London,‭ ‬for the Stadium and for British Athletics,” he said.